The Cambro 36HP150 H-Pan® third-size, high-heat food pan has a 5.6-quart capacity and is made of high-temperature plastic. It can be stacked to maximize space, and its nonstick interior facilitates cleaning. Since it can withstand temperatures from -40 to 375 degrees Fahrenheit, it is great for ovens, steam tables, microwaves, and hot holding applications. Imperial and metric markings efficiently manage the pan’s inventory. 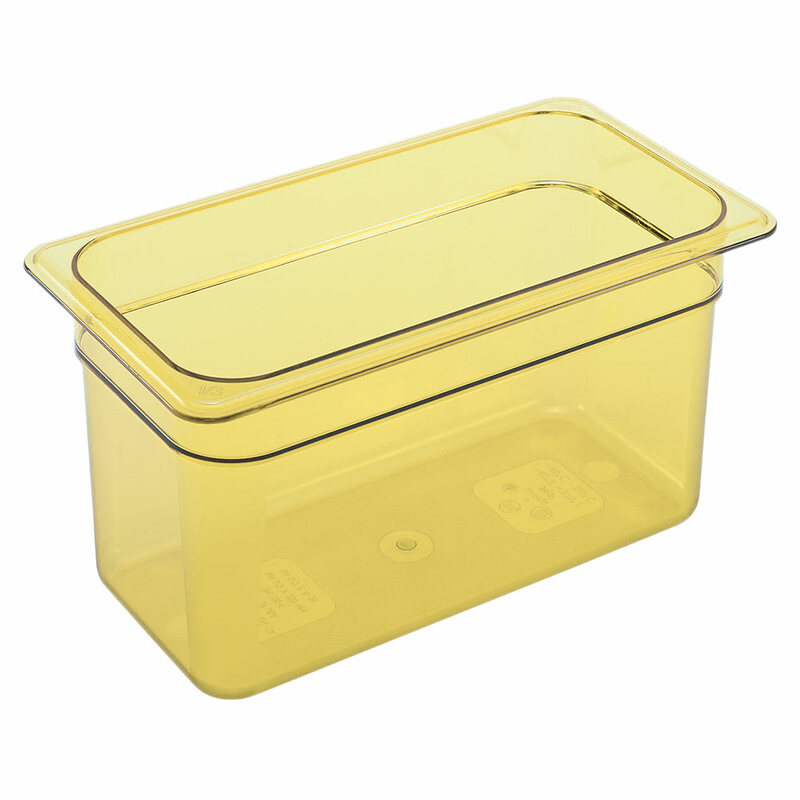 To learn more about Cambro food pans, check out our food pans guide.